"...where the pulse begings, there are only love and magic...dance is purely moved by the passion in your heart, dance is your soul expressing through your body, dance is the magic that only you can create. Pure joy of Life!" 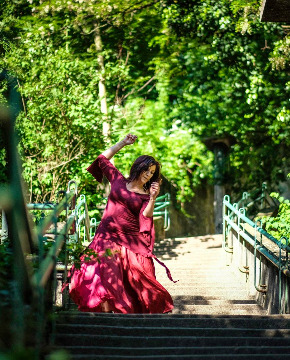 Feel the breath and the heartbeat inside, right there in that space where the pulse begins, resides the Magic of Life...dare to dance the song of your heart and awaken to life the dancer within, ARISE !